Dream Maker is a Florida manufacturing company that makes unique looking hot tubs that are virtually indestructible. Nonetheless, some of the spa components will wear out or break over time. This can be due to overuse, poor water chemistry, age, and other factors. The good news is – you can save money by buying replacement Dream Maker Spa parts online. 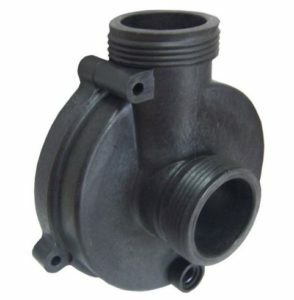 Certain hot tub components have a limited lifespan. These include the hot tub filters, spa pillows, ozone generators, LED lights and jets. Other equipment may have a lifespan of 5-10 years, like spa pumps, packs, plumbing parts, etc. Keeping your spa water in balance will help protect your spa components so you won’t need to replace them as quickly. Test your spa water every couple of days and adjust the pH to stay within the 7.2-7.6 range. Add each chemical separately to the water. Wait 15 minutes between adding chemicals and keep the spa cover off during that time. Do not heat your spa above 104 degrees Fahrenheit. Keeping the spa cover on when the spa is not in use will help keep debris from getting in the water and will protect your spa shell and pillows from the sun. It is a good idea to get a cover lifter. This will make removal much easier, but also hold the cover safely off the ground when the spa is in use. Regularly rinse your filter to help keep your spa clean and to maintain good water flow. It is a good idea to change your spa water every 3 months or so. You must thoroughly clean the hot tub shell before refilling. Soaking the spa filter overnight in solution is also recommended. 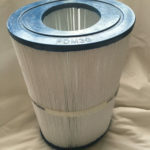 Keep a spare filter on hand to pop in while you clean the dirty one. To make sure there is no bacteria or bio-films lurking in your plumbing, get a jar of Ahh Some jet and plumbing cleaner. Use it every 4-6 months to remove harmful bacteria from the plumbing and calcium carbonate buildup on the flow through heater elements. Using Ahh Some and mineral sticks can cut your chemical usage by half, making it easier to maintain clean, safe, silky water. To increase enjoyment of your Dream Maker Spa, consider adding some accessories. Popular spa accessories include steps, cover lifters, drink trays, LED lights and aromatherapy. You can save on all your Dream Maker Spa parts and accessories at Hot Tub Outpost. They carry the full line of Dream Maker and Aquarest Spa parts at discount prices. Plus, orders over $95 ship free in the continental USA. Hot Tub Outpost also ships to Canada and Europe. Keep your spa water maintained and do regular inspections of your jets and equipment to keep your family safe, energy usage low and equipment humming longer.